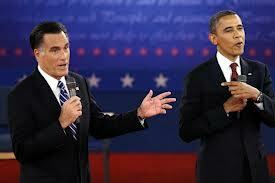 #Election2012: Obama Wins 3rd Debate or Did He? That was some debate. If it is any indication of how Romney would perform as President, he has a lot to learn. Apparently, the sun on the beach wore him out. His body language was awful. Seated he looked thin and his facial expressions made him look timid. As the tide shifted in Obama’s favor, Romney broke out in a sweat reminiscent of Richard Nixon’s 1960 presidential debate against John F. Kennedy. If you’re reading this and voting for the President, I know you liked his performance. The President looked rested, fit and ready. You liked it because you wanted the President to retaliate and get back at Romney, for what he did during the first debate. But the President missed an opportunity to win over more undecided voters by repeatedly cutting Romney off, which isn’t Presidential. It doesn’t provide the best example of how you communicate with people you disagree with. It will be two weeks before we know how effective this strategy was, more importantly did it win over undecided voters in the battleground states. Back on the campaign trail, the President now appears confident, while Romney is wobbly, a shift from the first debate where Romney appeared confident and the President was on the ropes. The President is hitting Romney on his changing views on policy issues, and calling it Romnesia. The only question left to be answered is who will win the election. How will undecided voters cast their vote? CNN’s election map shows the President is closer to the coveted 270 electoral votes needed to win. But there are scenarios that could leave the number of electoral votes at 269. That is why all of the battleground states are in play. Ohio and Florida are important for both candidates. If Obama wins them he wins the election. But if Romney can put them in his win column, we could be in for a long night. So although the polls say the President won last night, we have to wait two weeks to see if he was successful in winning over undecided voters in the key battleground states. And now we wait. In tonight’s town hall debate, questions will come from the audience. This doesn’t go well for the aggressive side we saw from Romney in the first debate that helped him surge in the polls. Look for the President to come out aggressive but not to attack too hard. The two candidates are virtually tied in national polls, but Romney has significant ground to gain in swing states. That’s why he will use key words to try to reach undecided voters. Words like Medicare, Social Security, job growth, the economy, tax cuts, and attack the President on his handling of the Benghazi embassy attack. But he will be forced to explain how his plan will create faster economic recovery, job growth, tax cuts, bring down the deficit, and regulate or deregulate the financial industry to stave off another economic recession. All in all he will have to tell the American people why his plan is better than the President’s. So far he has not. With questions coming from the audience, it will be difficult to attack the President like he did in the first debate without appearing arrogant. He will be forced to communicate how his plan will increase job growth faster than what has materialized under the President’s leadership. With a moderator like Candy Crawley whose job is to insure the candidates fully answer the questions, Romney will have a hard time hitting key words without detailing his plan. If pressed to give more details he will become defensive. The President will appear strong, rested and aggressive. But he is in a precarious position. He can be aggressive but must always appear in control and Presidential. Don’t look for him to be like Biden was a week ago. Look for the the President to call Romney out on the 47% comment, his math/arithmetic skill level to balance the budget and his business experience. 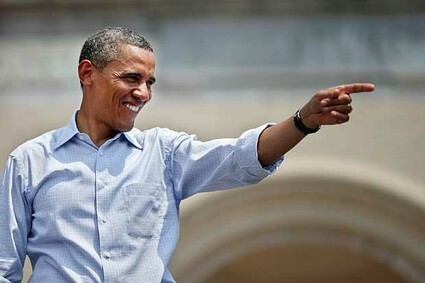 Tonight, holding on to a small lead in the polls, viewers will see that the President wants to be re-elected. He will convey why and how his plan will move the country Forward. If he does this well, and clearly not in a professorial way, illustrates the difference between his and Romney’s plan, he will win the debate and set up an anticipating showdown for the last 2012 Presidential debate on Monday. From the start Vice President Joe Biden attacked. Congressman Paul Ryan deflected those attacks and did a great job remaining calm, patient and answering questions. Biden smiled, shook his head and seemed agitated cutting in several times as Ryan spoke. 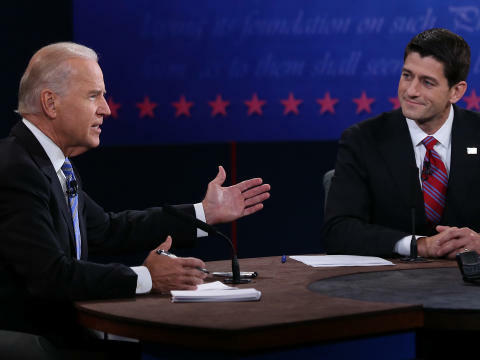 But Biden was far more aggressive than President Obama was last week during his debate with former Governor Romney. Both Ryan and Biden did a good enough to make it difficult to declare a winner. On foreign policy, Ryan’s comments offered a shoot from the hip policy, one that Romney has been accused of, clearly different from Obama’s steady, calm let’s build support in the international community approach. It is difficult for a candidate to answer foreign policy questions when your opponent is Biden, who has many years of foreign policy experience and is privy to security reports and briefings. But Ryan held his own, questioning why it took so long for the Administration to call the Benghazi embassy attack an act of terrorism. He went further, discussing Iran and their effort to build a nuclear weapon. While Biden offered information on the Administration’s handling of both, when discussing Iran it seemed there are things he is unable to address, thus left the viewer more engaged on Ryan’s simple answer. On the economy, Ryan followed Romney’s lead, failing to offer an idea of how they will fix the economy, offering numbers not solutions. Biden highlighted the President’s accomplishments particularly saving auto industry jobs. He called Ryan out on Social Security and Medicare, asking Americans, what if we had privatized social security, put your money in the stock market, where would we be now? 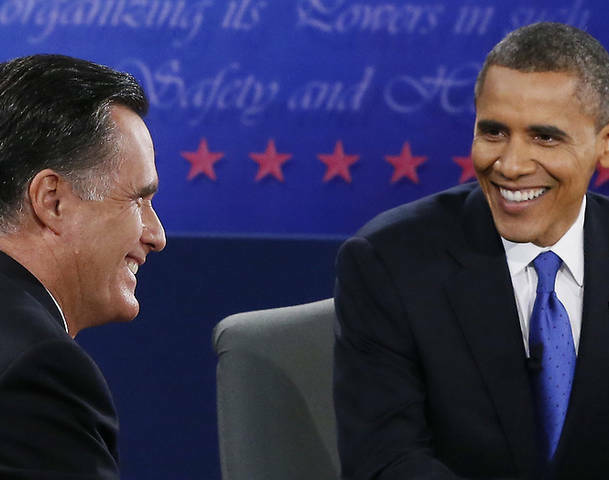 Last night’s debate set up the much anticipated rematch between Obama and Romney. Biden did what the President didn’t last week, attacked! Now it is up to Obama to step up, clearly define his plan, look Presidential, attack but not too much. One thing the two debates have shown are, that Obama/Biden spend too much time explaining the past, not enough time on the future. Romney/Ryan are doing a great job with the elevator pitch, hitting key words like Medicare, Social Security, the economy, creating jobs and tax cuts. They aren’t fully answering the questions, but they don’t have to if the moderator doesn’t hold them accountable. They are winning the debates by reaching undecided voters with simple answers and not worrying about the fact checkers. Let’s hope Candy Crawley and Bob Schieffer who are moderating the next two debates, do a better job keeping the candidates to the debate format and make sure they fully answer the questions. 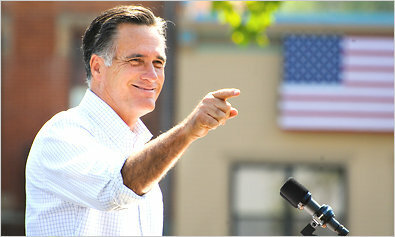 A week after the debate, poll numbers indicate that GOP candidate Mitt Romney is ahead of Democratic Candidate President Barack Obama. The President’s supporters should not be alarmed by the numbers. There are still two debates remaining and anything can happen. And Governor Romney’s supporters should not be celebrating. Undecided voters are finicky and undecided. For both camps, getting out the vote is more important than ever. But voter’s whose primary focus is on the presidential election, should not be complacent and neglect to inform themselves of other national, state and local races. The Congressional races are in many ways, more important than the Presidential race. The main reason is the economy. Unless both sides decide to come to the table to talk and not to argue, markets here and abroad will anxiously fluctuate like they did last year over the debt ceiling debate. National leaders in Congress play just as important a role to our economic vitality as the President. 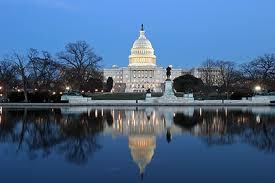 The IMF predicts a narrowing of the deficit on the assumption that a political compromise in Congress will be reached. But if Congressional leaders in the fall do not come to a compromise, our economy will fall again into recession. Managing Director Christine Lagarde, recently told CBS the U.S. may face a recession in 2013, if Congress doesn’t avert the so-called fiscal cliff of automatic spending cuts and tax increases. So with Election 2012 upon us, this cliché may hold true, “this is the most important election of our lifetime.” If we elect people to Congress who bicker instead of talk, another economic crisis worse than the Great Recession will take us in the direction of a real Depression. To move our nation in the right economic direction, we must focus on candidates for Congress, state legislatures and local elected officials who will work together. Real Hope and Change rests in the voter’s hand. Hope and Change is about voters affecting their own destiny. No matter who wins the Presidential election, your vote will impact our politician’s economic policies. And it should send a clear signal that we want elected officials from both parties to work together on every level of government, so that all Americans benefit from shared opportunity, shared responsibility and shared prosperity for years to come.